The EduPrimer™ DNA Profiling Kit is designed to introduce students to the principles and applications of PCR, focusing on the real-life use of DNA Profiling in forensics and disease research. The Penta E microsattelite region, a Variable Number Tandem Repeat (NVTR targeted with this kit makes it an excellent example of genetic elements that can be used for identification. Compare results between your students, and between classes. 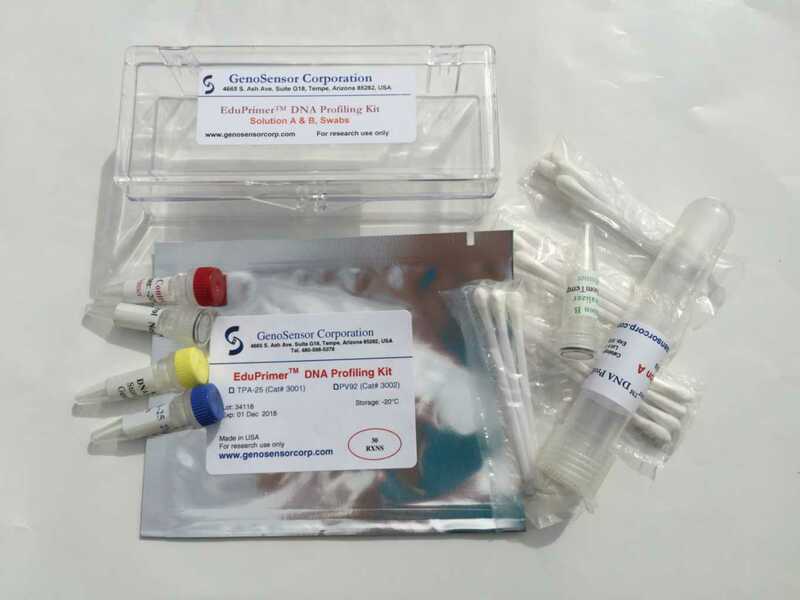 Ordering information: This kit includes the components needed to isolate DNA from students, as well as the PCR components needed to amplify DNA. Kits come with directions to download instructional material and procedures. 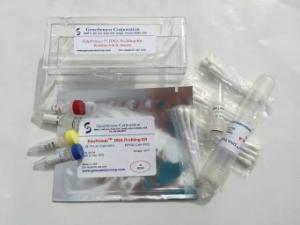 Kit includes DNA isolation components (lysis buffer/neutralizer), PCR reaction components including master mix (primers and enzymes) and DNA ladder.